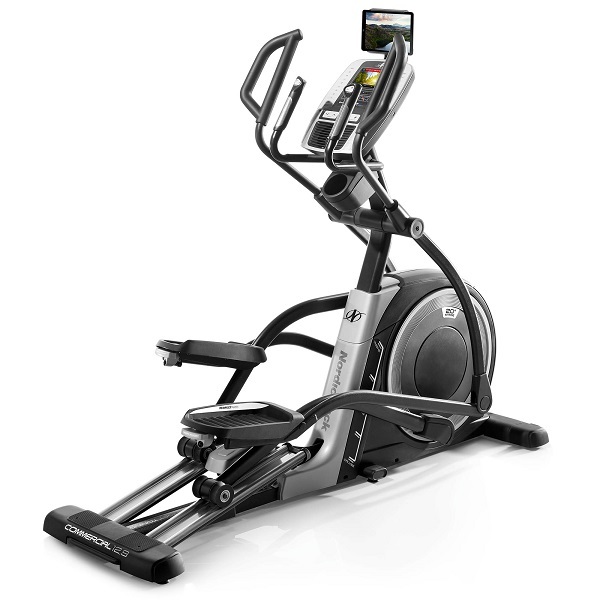 The Reebok Titanium TXF3.0 elliptical trainer is the top of the range cross trainer in the current Reebok range. Another foray by Reebok into the upper-mid range market? We were interested. The specs looked pretty good on paper so, how did it fare under closer scrutiny? Firstly the assembly. Reebok have tried hard to make this as simple as possible but being a cross trainer there are still 14 stages to the assembly in the manual. It does go together smoothly though and didn’t present any serious challenges. Flat pack furniture veterans have nothing to fear here but if you’re not all that handy it’s probably worth enquiring about an assembly service from your retailer. Most assembly services will also get rid of the packaging for you which is handy as there’s quite a lot of it in order to keep the machine safe in transit. The unit we received was the ‘white’ version which is actually probably an even split of black/dark grey and white and looks very neat and tidy. Reebok have opted for a classic design here so there’s nothing futuristic or contemporary about it but what’s been done has been done well and it looks solid and well built. 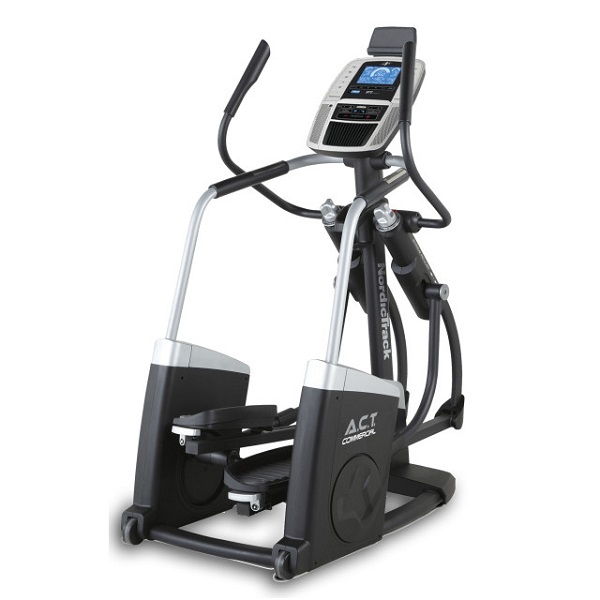 One of the first thing that strikes you about this machine is just how chunky it looks. The double rails, double roller wheels and large diameter tube work really do inspire confidence. The action is, in a word, excellent! 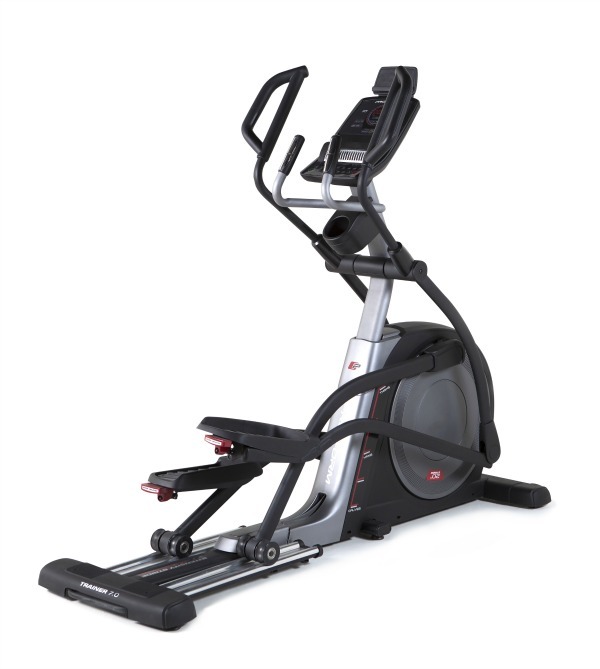 The 10kg (22lbs) flywheel ensures that all the way through the cycle the action is smooth and consistent. 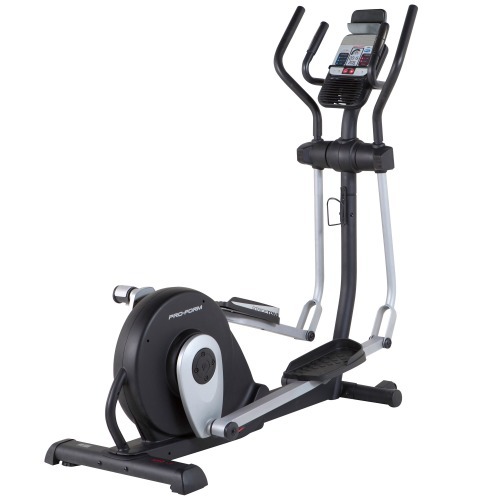 It’s quite a flat ellipse so your heel does tend to stay in contact with the pedal all the way through, however, Reebok have included adjustable pedals to make sure that regardless of your own personal biomechanics you’re going to be able to get a great position on this elliptical. 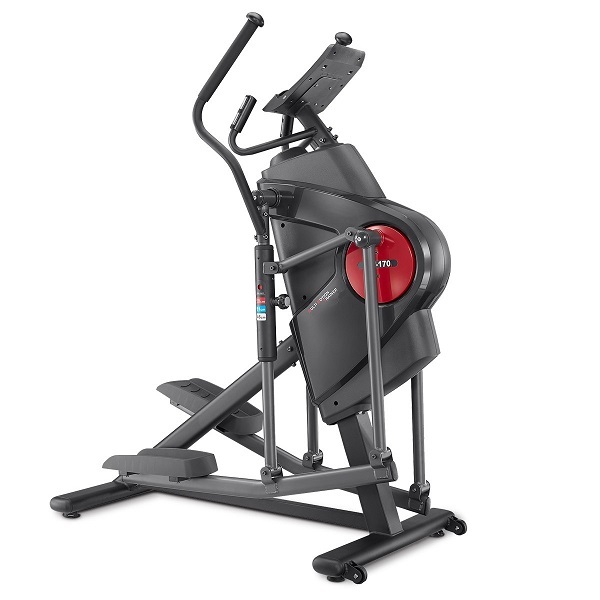 The 19.5″ (49.5cm) stride feels great and due to the setup of the machine should be comfortable for most users short or tall. The console itself is laid out as simply as it’s possible to get. There are just 4 buttons, plus the ‘i-Drive’ dial. You really can’t get any simpler than this and it does make operating the TXF3.0 an absolute doddle. The i-Drive’ button sits at the centre of most things you do on the console. The other buttons are – start/stop, quick start, recovery, and reset. Then there’s the i-drive button for all the rest of the functions. We found this to be a really nice feature as it allows very quick access to settings. Instead of having to repeatedly push +/- keys you just turn the dial to reach the setting you want and then press the dial to select it. Very quick and very easy. In theory, this should also extend the life of the console as it’s not necessary to hit buttons over and over again so as well as being quicker, it’s actually also more gentle. The console has a decent sized, 7” monochrome LCD screen which, surprisingly does provide a clear picture. At this price point we’ve become accustomed to seeing dual, if not full, colour screens but at least the screen is sharp and easy to read so it’s not a deal breaker by any means. Scrolling through the options for the various programmes is all done via the i-Drive dial, as is adjusting the settings from within a programme such as setting time, distance, calories, BPM and so on. There are 5 user profiles that allow you to enter and save personal details for up to 5 unique users. Entering this data improves the accuracy of the training data such as calorie burn so is well worth the little time it takes to set this up. There are 20 programmes in total ranging from your standard preset workouts, through to a fitness test, random workout, various heart rate controlled workouts, manual and target programmes as well as user defined programmes. In short, there’s a lot to keep you occupied. They’re all scalable too allowing you to alter the default settings on all the preset workouts so there’s a huge amount of variation available which is a real plus. In addition to the myriad of programmes, the TXF3.0 has also been fitted with a BlueTooth receiver to allow you to connect a smartphone or a tablet to it! Just download the free Run on Earth app and connect your device. You can then map out your own running routes using Google Maps. This is lots of fun and works pretty well just don’t expect hi-def video – it’s Google Maps and a series of still pictures at street view level, or map or satellite view. Still, it’s fun and a nice feature to have. The speed of resistance change is worth mentioning here. 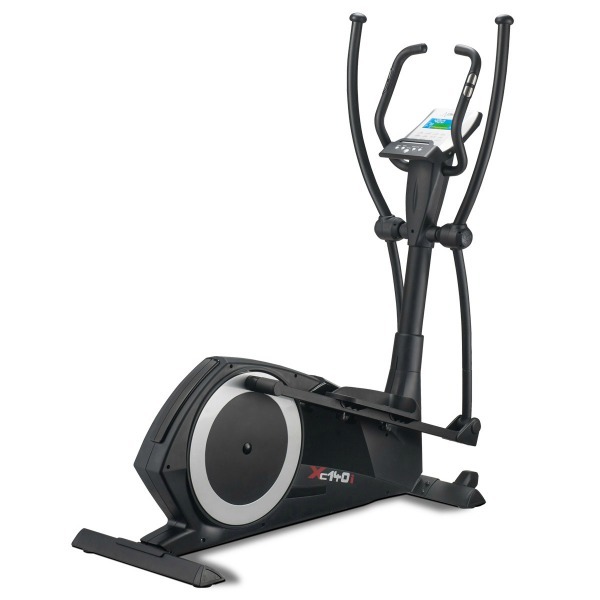 Unlike most other home use ellipticals the TXF3.0 employs an electromagnetic resistance system. While we’re happy to poke a little bit of fun of the fact that there are 75 levels of resistance the fact is that the speed of resistance change due to this system is stunning. Those that want to perform interval based workouts will love this. 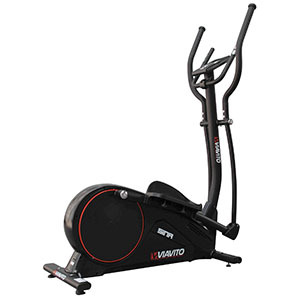 It moves from minimum to maximum resistance almost as fast as you can turn the dial to get it there. It really is noticeable and makes for an amazingly responsive machine. Finally, the TXF3.0 has a recovery test function. 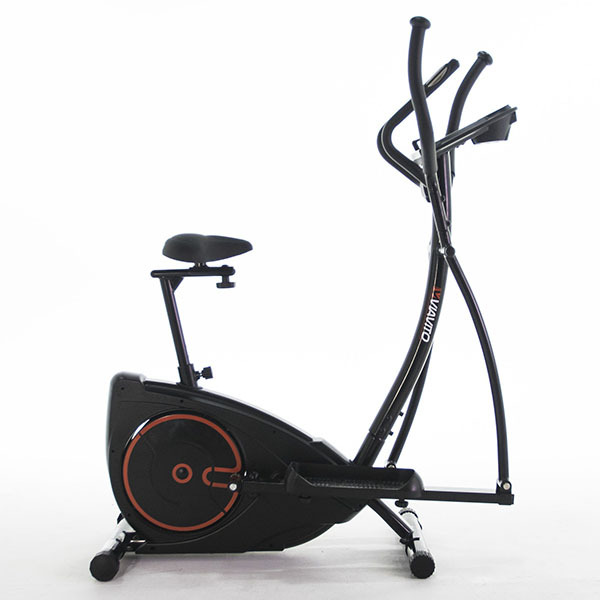 After an exercise session you press the “recovery” button and grab the pulse grips on the handlebar for one minute (or your can use a chest belt). 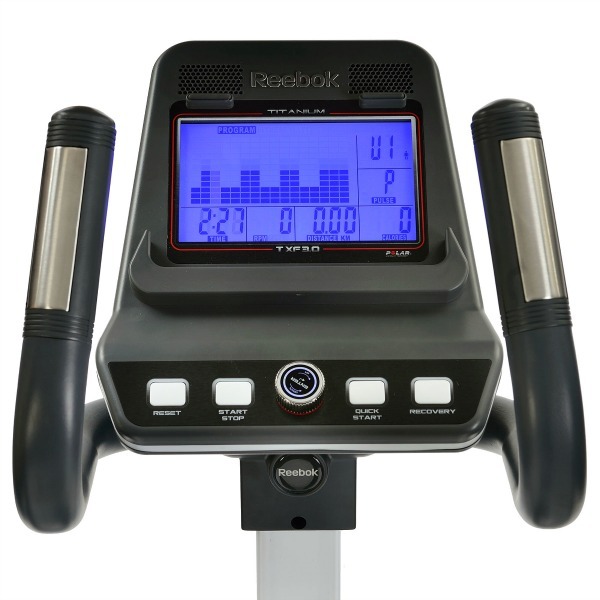 The computer monitors the rate at which your heart rate is returning to its resting level over this time and based on that provides a fitness rating between 1 and 5 – the lower the number, the better your fitness level. A really good feature to keep you motivated. 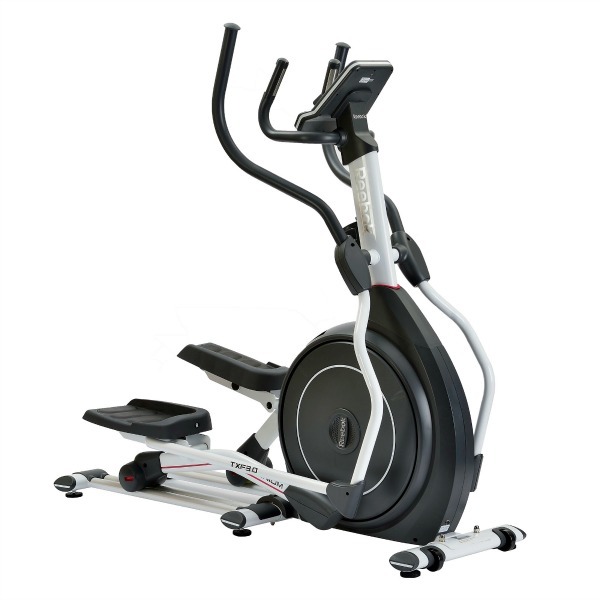 As with all the Reebok range, the warranty is the standard 2 years on-site parts and labour giving you peace of mind. The Reebok Titanium TXF3.0 is not currently available from any retailers we're aware of in the UK. 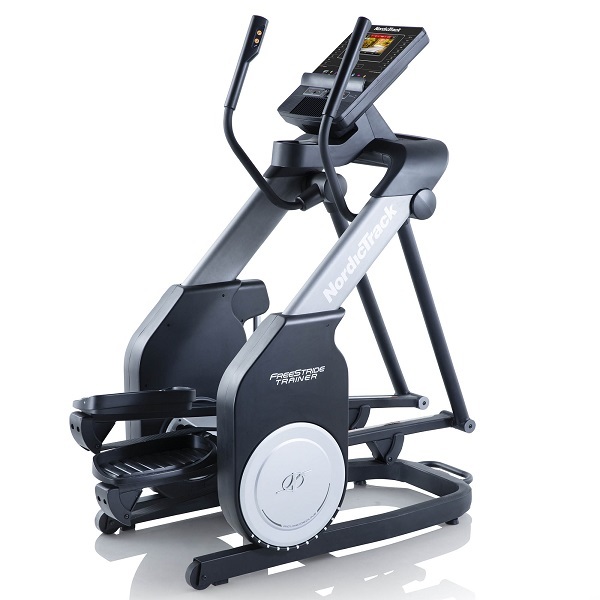 Well built and with lots of programmes and features, there's plenty to like about the TXF3.0 elliptical but it's got some serious competition in the form of the outstanding Proform 7.0 which we'd suggest taking a closer look at as it's got a heavier flywheel, a slightly longer stride, adjustable incline and offers a sizeable saving into the bargain!